Colouring has never been easier! 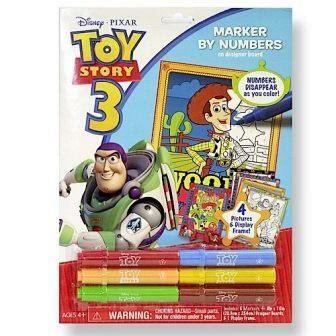 Marker by number allows you to bring all your favourite Toy Story characters into a world of colour. Coloured numbers disappear as you colour, to make your picture perfect every time. Includes 6 markers and 4 designer boards (20.3cm x 25.4cm). Packaging turns into a display frame.